Can be used for storage and transportation of electronic components and parts, assemblies, and loaded circuit boards. Electrostatic Decay Rate is tested to meet Mil Spec Mil-B-81075B at less than 0.1 seconds. Surface Resistivity is less than 105 Ohms-per-square when tested per ASTM-D527. 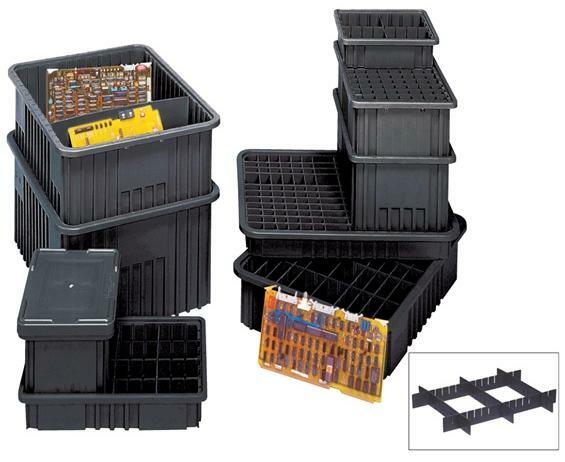 Containers can be divided by length and/or width allowing subdivision down to a 1-1/8” square compartment size. FOB Shipping Point. 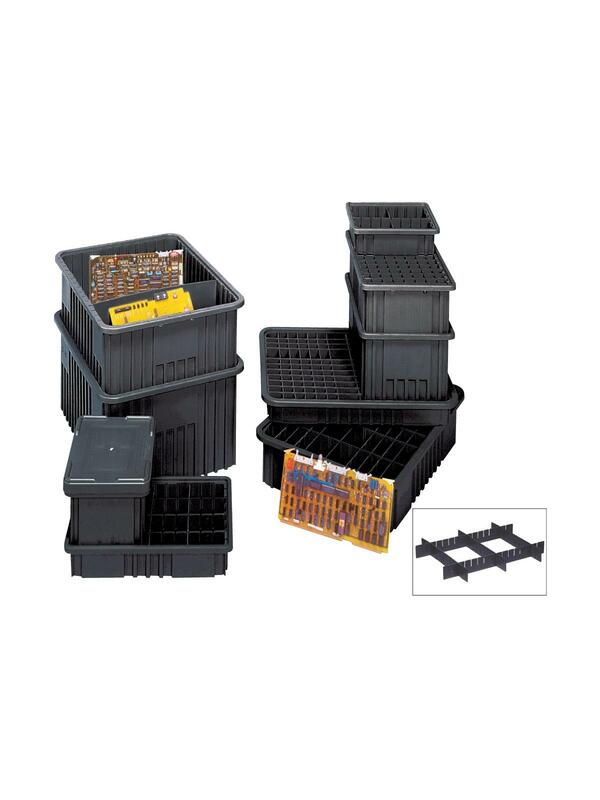 See Related Items tab for Dividers for Conductive Dividable Grid Container, Cover for Conductive Dividable Grid Container and Card Holders for Conductive Dividable Grid Container. 10-7/8 x 8-1/4 x 2-1/2"10-7/8 8-1/4 2-1/2"
9-3/16 x 6-9/16 x 2"9-3/16 6-9/16 2"